Accessibility is the key to this charming resort and marina. 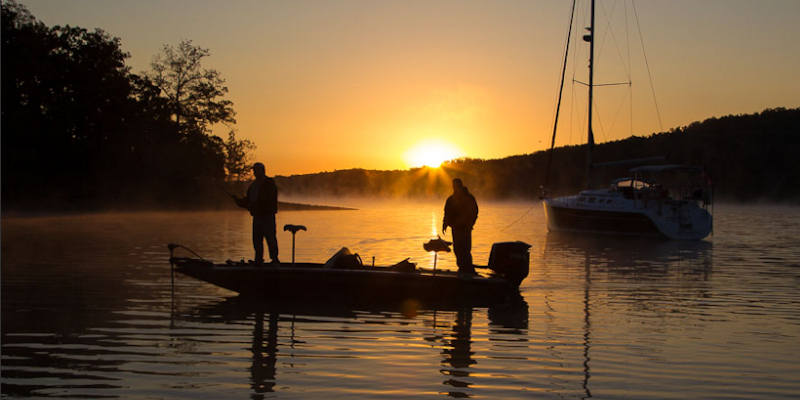 Just a short three-mile drive from Interstate 24 leads visitors to this most picturesque get-away resting on the shores of beautiful Kentucky Lake. Only one mile north of the entrance to the Land Between the Lakes Recreation Area, Lighthouse Landing is an easy three-block walk to the quaint shops, restaurants and Badgett Playhouse in Grand Rivers, Kentucky. The combination of waterfront amenities with close proximity to public attractions makes Lighthouse Landing a premier destination. 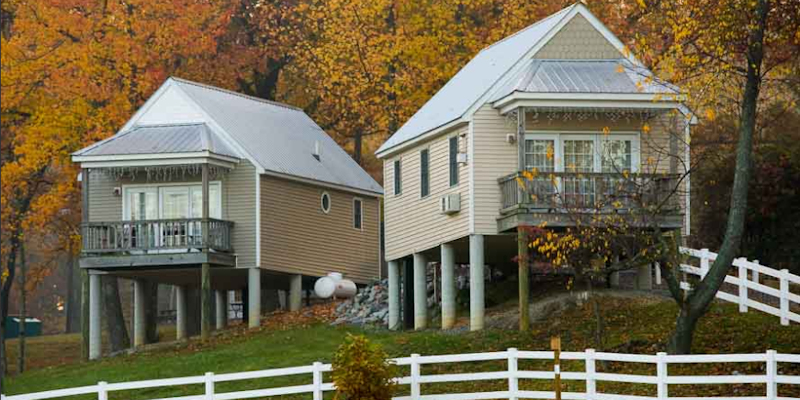 Guests will enjoy a beautiful Kentucky Lake view from one of the cottages available on site. 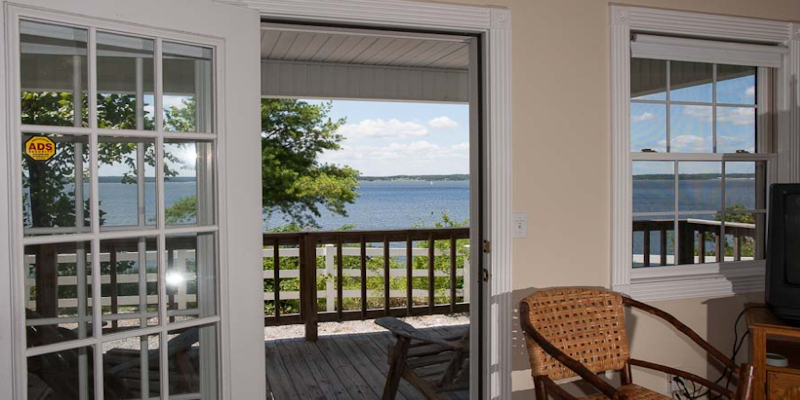 Comfort is the key in these one, two and three bedroom cottages overlooking the lake and harbor. Always clean and well maintained, each quaint cottage comes equipped with amenities to match the view from guests’ very own private deck. Laundry facilities and Wi-Fi is available on site. Visit their website for seasonal discounts and other frequently asked questions. 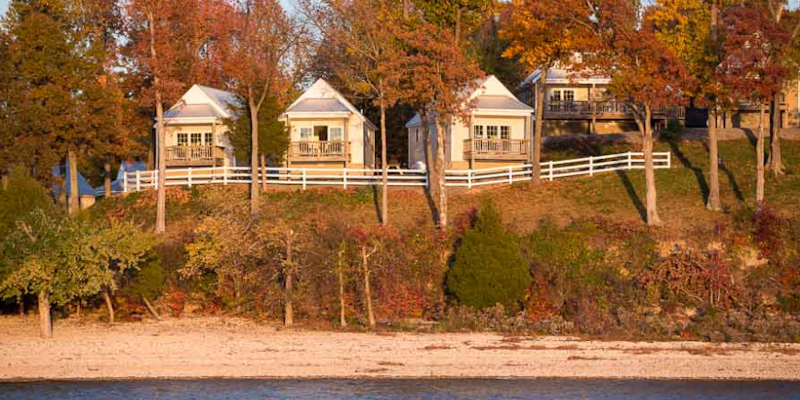 Nestled in the shade of the lakeside woods, Lighthouse Landing RV Park offers 57 seasonal RV sites. Each spacious site offers water, electric hook-up and most have sewer, as well. Dump station, laundry facilities and two bathhouses are conveniently located on the premises. The marina, boat ramp, beach and laundry facilities are nearby, making this RV Park conveniently located for just about any lakeside adventure visitors will want to take. Upon entering the resort, visitors’ first view is filled with a sea of masts stemming from boats that have traveled from states and towns, near and far. 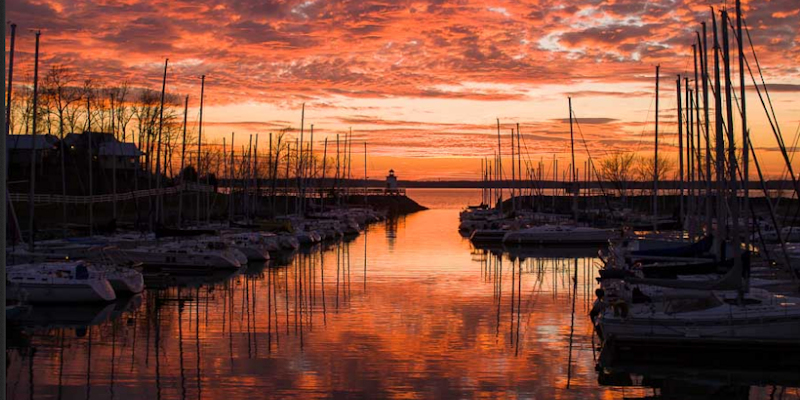 Located in a well-protected harbor, this beautiful marina contains 190 open slips for boats up to 42’ and can be rented yearly or daily. Boat slip customers have access to city water, electricity, bathhouses, laundry, Wi-Fi and self-service waste pump out. Both power and sail boats are welcome. Gas and diesel fuel are available for sale at local facilities. Lighthouse Landing provides quality instruction in the art of sailing. Whether an experienced sailor looking to enhance his skills or a newcomer to the sailboat scene who wants to learn the craft, visitors will find no better place to learn or hone their sailing techniques than at Lighthouse Landing’s Sailing School. The school has offered top-rated sailing lessons since 1977. Details on the certified American Sailing Association’s 4-day course can be found on the resort’s website. 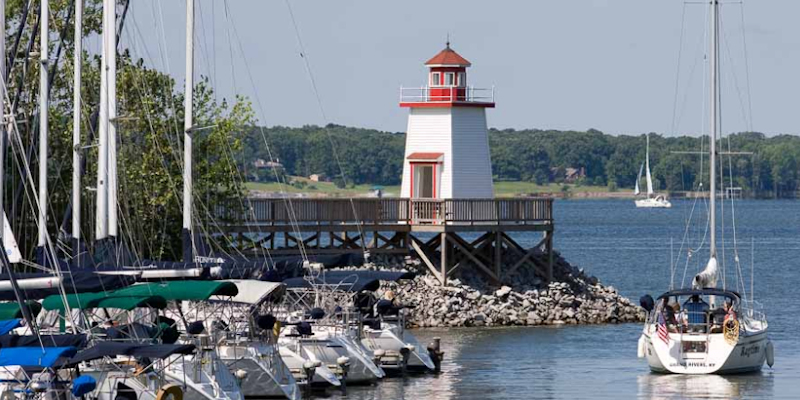 In addition to lessons, those in the market to purchase a sailboat will appreciate the exceptional customer service and expertise provided by Kentucky Lake Sails, Inc. at Lighthouse Landing. For almost 40 years, the resort has provided a diverse selection of pre-owned sailboats to customers in the Ohio and Tennessee Valley region. The sales team is knowledgeable and passionate about the sailboats they sell and will work hard to assist customers in selecting a boat that best meets their family’s needs. A current list of boats for sale can be found on the resort’s website. Looking for a small meeting room with an incredible view of Kentucky Lake? Lighthouse Landing's small meeting room is a perfect venue for a small wedding, reunion or just a place to gather with friends. The meeting room can accommodate up to 25 people. It’s patio doors open onto a deck with table seating for 40 guests. A full kitchen and charcoal grill are available for use. Other amenities include the Lighthouse Landing Lake Access Area, which offers gorgeous views of Kentucky Lake, as well as a gravel beach area, picnic tables, charcoal grills, and a large fire pit. A boat ramp is available. Boat slips are available for an additional fee. Guests can also take a stroll on the Grand Rivers Walking Trail. This quaint path begins at the Grand Rivers Jetty, adjacent to Lighthouse Landing. The path extends out into Kentucky Lake, and includes an open gazebo with benches at the end, making it a popular spot for a small wedding or just to sit and watch the sunset.